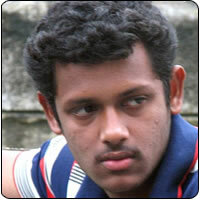 Mahesh, the hero of the smash hit Angadi Theru, will soon don the greasepaint for yet another venture. This movie, which has not been titled yet, will be directed by Bala Sriram, who worked as an assistant to director A Venkatesh. Incidentally, A Venkatesh, who played an important role in Angadi Theru, is also included in the star cast of this film. The heroine and other star cast will be finalized in the days to come, reveals a source. This film will be produced by Bhoopalan Chinnan. Srikanth Deva will score the music for this venture.